Chronicling experiences for fellow yuppies and those that want to sell experiences/trash to us. I rarely venture away from music that isn’t vocally focused, however being the wanna be hipster that I am, I’ll take a flier on an album that Pitchfork thinks is good. More often than not the music doesn’t make it into my rotation, but Kamasi Washington did. So when I saw he was coming to the Showbox I snapped up 2 tix months in advance. Quick background about the Showbox. It is right across the street from Pike Place Market, has a list of legendary performers that have graced their stage, and may get knocked down and replaced by an apartment building in the next year. It’s a venue with old timey lights, chandeliers and disco balls on the ceiling that give it a retro vibe. The space is small, but there’s wiggle room to find a spot even if it’s at capacity. 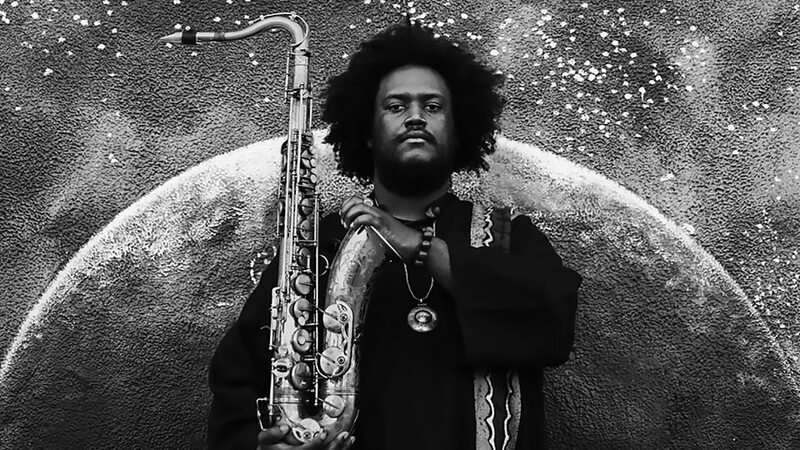 Kamasi Washington is a striking figure. He is a LARGE man and his hair is super cool. Accompanied by fellow artists on drums (2 drummers! ), trombone, keyboard, stand up bass, and vocals (female), they got started. His songs are often over 10 minutes and usually have a melody that serves as the “chorus” that the artists come back to. The magic of the show happens when he or another artist begins to solo. These are masters of their respective instruments and they get an extended period of time throughout the show to showcase what they can do. Drumsticks were moving so fast they became a blur, the bass made sounds I didn’t know it could make, and I heard what is likely to be the craziest saxophone solo I will ever hear. It’s incredible how much air Kamasi Washington can get into that thing. Every time I thought he was giving it his all, he would just take it to the next level, playing louder and louder, and then miraculously work right back into the melody that carried the song earlier. Very impressive indeed. On the Uber home, my girlfriend and I agreed that we would’ve enjoyed the show more if we were sitting at a table and relaxing. It’s not necessarily “get up and dance” music (which is what this venue is good for). It’s more so “sit and marvel at these incredible musicians without being distracted or bumped by other people” music. Would I do it again? : If I had a seat, yes. Previous Previous post: Yuppies Work. Trust Funders don’t. Yuppie Trash Blog at WordPress.com.